The financial crisis and changing market developments have made many companies aware of their vulnerability, with increased competition and waning consumer confidence posing new threats. In these turbulent times, it is important to stay strong as a business and to re-examine not just your strategy, but also your values. Corporate brands can no longer just stand there: they must stand for something. What are the values and ethics that define your corporate conduct? Do you live by them and up to them? The starting point for this journey to corporate self-awareness is inside the company. Now is the time to re-examine your internal values. What are they? How can they be defined? Do they fit this new environment and are you communicating them well enough to employees? 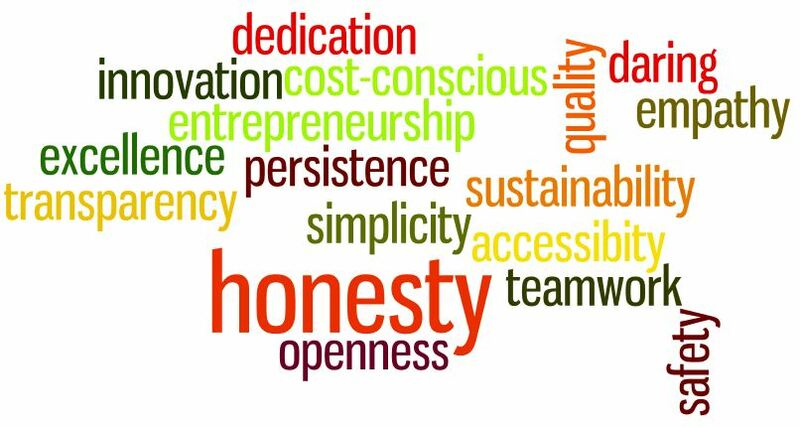 When defining your corporate values there are two layers to consider: the internal core values, or business principles, which must be communicated clearly to employees, and external core values, which must be communicated clearly to your customers. Another important question in defining the core values is a more personal one: what kind of ‘character’ does your company have? Companies are run by people and their customers have a tendency to view them in personalised terms. They want to know your moral stance, the ethics and beliefs that underlie the way in which you do business and treat customers and stakeholders. Do you aim to be as open and accessible as possible? Is honesty important? The character dimension will also govern the way you work with business partners, employees and ultimately your customers, shareholders and regulators. Last but not least, when creating core values it is important to keep in mind your mission and your vision of your place in the corporate universe. What is the main purpose of your business? What exactly do you want to achieve and for whom? The awareness that your company is directed by a consciously conceived moral compass provides clarity, a sense of purpose, and very often comfort, to all stakeholders. 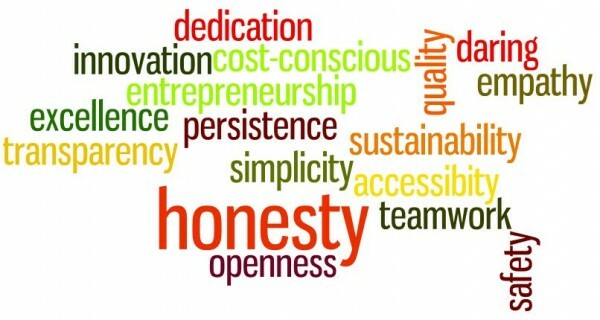 Once you have created or reinvented your core values, you will need to translate them into external, commercial values. The fashion retailer H&M, for example, lists seven core values that include simplicity, improvement, team spirit, cost-consciousness and entrepreneurship. H&M translates these business core values into the brand core values: quality, best price and fashion. So whereas business core values are the values you communicate to employees and the basis of your business, external core values are the values that show customers clearly what makes you as a company special for them and how they can benefit from your product. Clear core business and brand values provide a strong foundation for brand building. These values need to be implemented in every aspect of production, the supply chain and all marketing and communication activities. In word and in deed. If as a European food retailer like Prêt àManger one of your core values is to use only fresh, natural ingredients, you cannot import frozen chicken breasts from Brazil to cut costs. If as an investment bank like Goldman Sachs you claim to act as a trusted financial adviser to clients, you can’t sell risky investments without explicitly warning of the risks. Above all you must practice what you preach, or trust will shatter. Once implemented, core values must be treated like promises and become like the blood supply of the company and its people. Chosen judiciously, applied properly and consistently, both core values and brand values will help to create a more meaningful view of your company and energise all consumers and employees who identify with them. ©Emma Robson and Susanne Lehr, 2012.